RETURN PERFORMANCE AT CARNEGIE HALL! 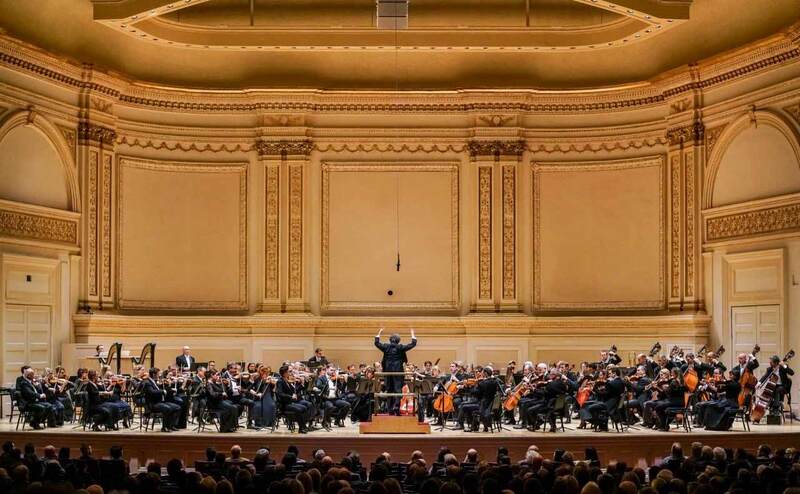 In January, Carnegie Hall announced its programming for the 2019–2020 season: the OSM and Maestro Nagano return to perform in the prestigious New York venue on March 24, 2020! Mickaël Pletnev will give a performance of Schumann’s Piano Concerto in A minor, op. 54, and two men’s choirs from the University of Illinois along with bass Alexander Vinogradov, joins the Orchestra in a performance of Shostakovich’s Symphony No. 13, a work that pays tribute to victims of the Babi Yar massacre and is inspired by the eponymous poem of Soviet writer Yevgeny Yevtushenko. This marks the 45th time the OSM takes the stage at Carnegie Hall for its 29th programme offering there.